There is a fair bit of head-scratching, hemming and hawing, as baffled faces scour the bulging bushels of watermelons nearly spilling onto the market sidewalk, for a good find. The elderly couple, sprightly and sharp, engages in a low-voiced deliberation over the merits of bottle-green specimens, over their streaked counterparts. Shrewdly assessing her choice is the svelte lady in the Juicy Couture sweatsuit, slapping her open palm against its dusty rind, headphones shifted to listen closely for telling thumps. The efficient shopper with a meticulous list flashing on her phone seems surely to know her game, as she asserts that a splintered stem is evidence of a fresh off-the-farm pick, and that pale, sun-kissed patches validate time spent sweetening naturally, on the vine. The Tadka girls, observant and mindful, swing by with tall Frappes in hand, on their weekly grocery run. After careful consideration, they bag a bonny, well-proportioned pick, and haul it to the hybrid parked within earshot. Later that morning, this prized acquisition cedes to the assault of a mighty Wüsthof with a soft groan, revealing insides that are cool and slushy, ripe and rosy. As the slices are lined up, posing with poise in their tri-colored splendor — red, white and green — a keen surveying is taking place, for the fun knockoff that is on the cards. Moments hence, the juicy chunks are fleshed out and fussed over, layered and molded into icy treats, to cool off the riotous bunch that can barely wait for the holidays to roll in.. Freeze the cubed watermelon on a tray for 30 minutes. Blend the chunks with the sugar and salt until slushy. Stir in the mini chocolate chips and pour into popsicle molds or small paper cups, leaving about half an inch of space empty at the top. Insert a popsicle stick into each mould. Freeze until set. Meanwhile, soften the vanilla ice cream. Spoon about a tablespoon of the ice cream on the frozen watermelon layer to form the white rind layer, leaving space for the green to come. Return to the freezer to set up. Top with a thin layer of mashed and de-seeded kiwi or puréed honeydew to represent the skin of the watermelon and freeze until it is hard. To unmold, dip the pops briefly in warm water. 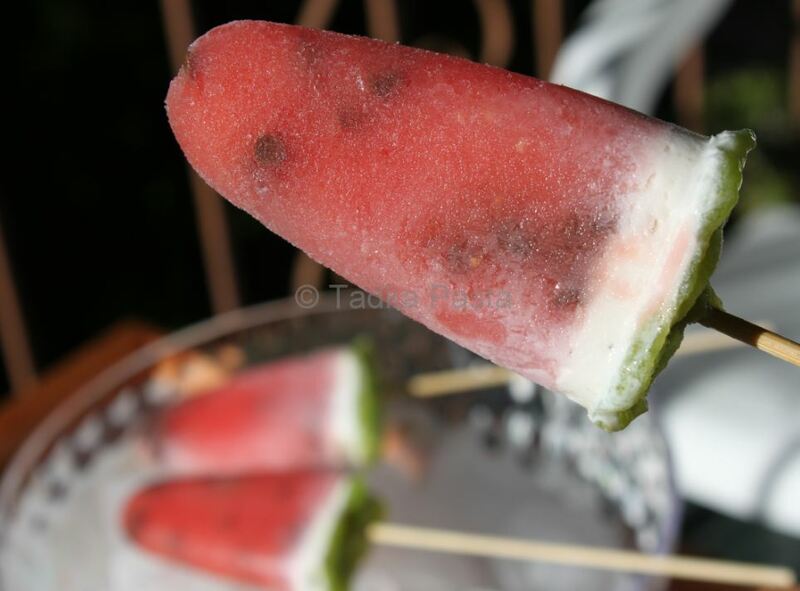 This entry was posted in Funnibles, Summer Coolers, Sweet Treats and tagged after-school snack, fruit pops, healthy, healthy snack, kid-friendly, layered pops, low calorie, low fat, pops that look like watermelon, watermelon pops. Bookmark the permalink. Thanks for coming back and linking to THIS WEEK’S CRAVINGS, next Monday is Father’s Day Favorite Recipes, hope to see you linking up again! 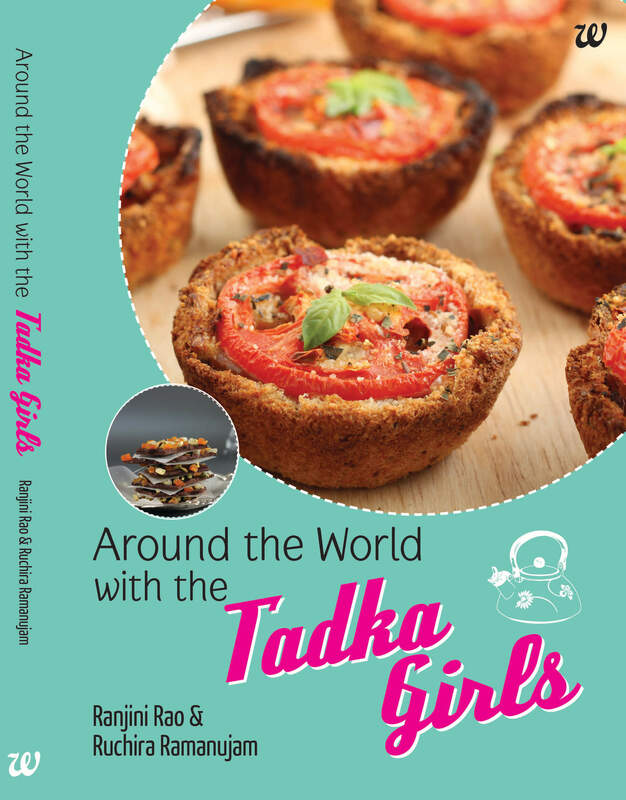 Tadka girls 🙂 I love this kid friendly idea. The idea of adding chocolate chip to clone a watermelon seed is very clever! Aren’t they? We think the adults will enjoy them just as much 🙂 Thanks for the sweet words and for pointing us to the Spotlight. We’ll be there! 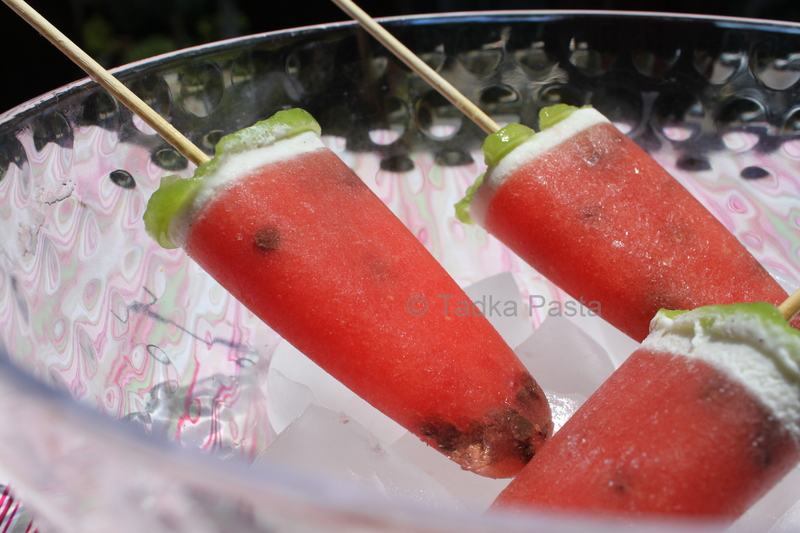 I make watermelon pops all the time but never thought to add the chips. Adorable! Thanks! Hope you have fun with this idea. Thank you and hope you have fun making it with your little one! Thank you! We’ll surely check that out! What a beautiful cool refreshing treat. This would be a delightful summertime treat to serve for a special party or just a special treat for me, like right now. Thank you so much for sharing with Full Plate Thursday, have a great week end and come back soon! Thank you for that lovely message! We’re glad we could share it with Full Plate Thursday! Oh, I love these! They’re so clever and I know they would be cool and refreshing for the summer! 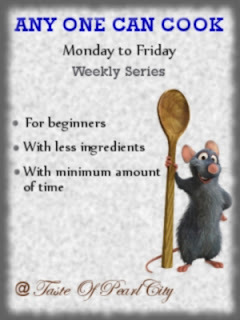 I’d like to invite you to share your recipe on A Well-Seasoned Life’s Sweet Indulgences Sunday. Why, thank you! We’ll be there to partake in Sweet Indulgences Sunday for sure! What a great idea, I can’t wait to try these; they look perfectly refreshing for the hot weather we’ve been having. Glad you liked them, Megan! What a lovely and creative blog you have. We’re going to be visiting often. Thanks! We’ll definitely link up to your party! Love this idea! These are so fun! We have a Zoku popsicle maker and this will be a fun summer activity to make with my kids! Sounds like fun! Thanks for coming by. What a neat idea! Thanks for linking up for Friday Favorites. I’m featuring you this week. Come grab my featured button if you’d like one! Thanks so much! We’re thrilled to be featured on Friday Favorites. What a brilliant idea! Fun, healthy and so pretty! What a fun post 🙂 You’re a talented writer! And I’d love for you to link up to my Sweet Treats Party this weekend. Hope to see you there! Great to have you stop by and we’d love to link up! 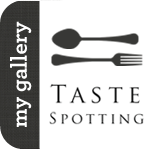 Congratulations you are featured on Full Plate Thursday this week. You are welcome to stop by and pick up your Red Plate if you like. Thanks, Miz Helen! We’re thrilled! 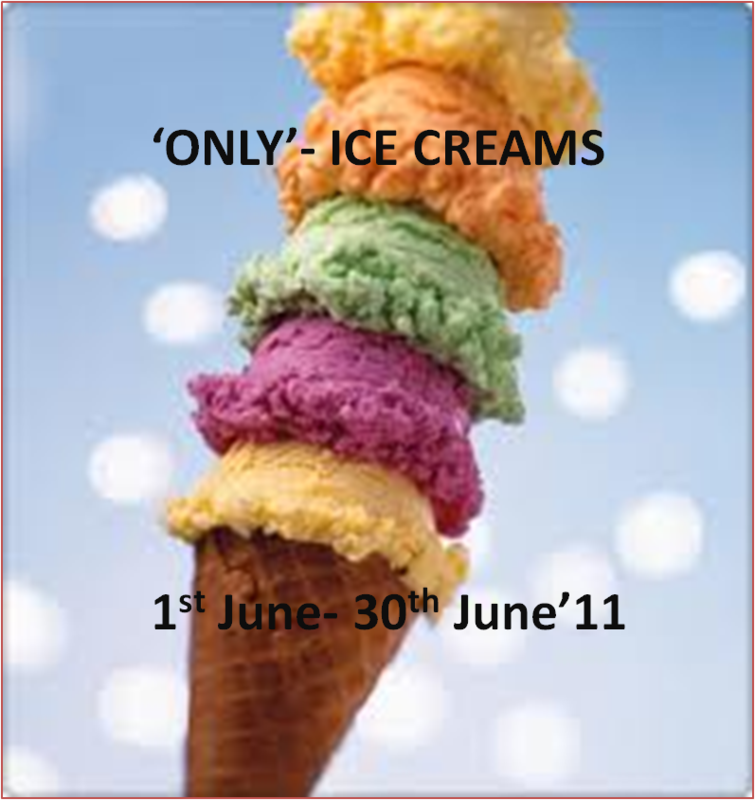 Fantastic summer treat for kids of all ages. I don’t think you can outgrow your love of “clone”sicles. 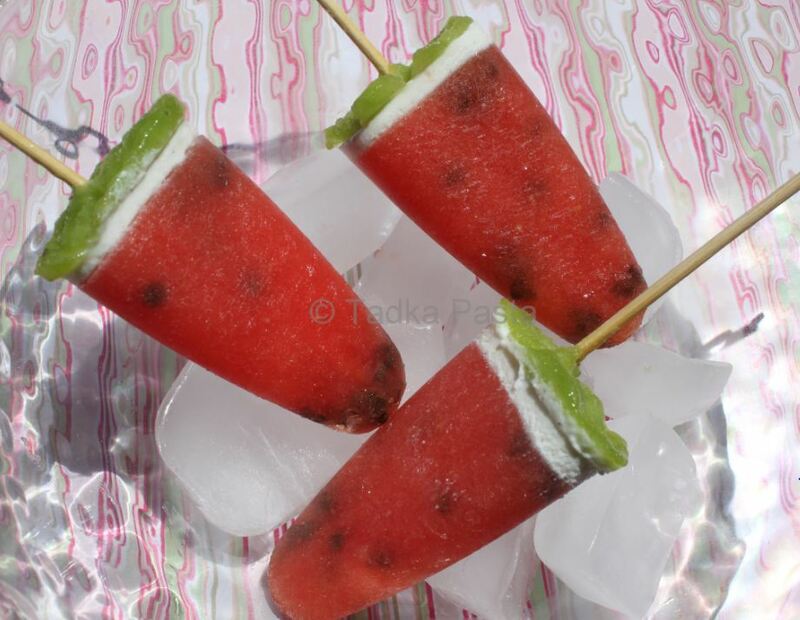 I can’t wait for summer to arrive down under so I can try it with in season watermelon. I love the seeds! Thanks for submitting to the Food For Little Champs event. It looks really good. 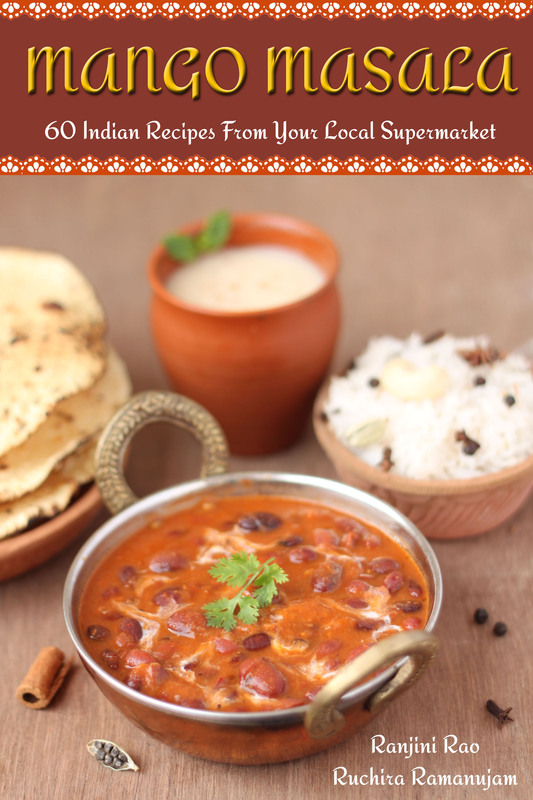 Glad you liked it, Indu! Thanks for visiting! This looks amazing! You are very creative and talented. My kids would love this. Bookmarked! Laura, thank you, and we hope you try it with your kids this summer. Giggles guaranteed! They look just perfect…How did u manage to prevent them from melting, while u clicked?? Thanks, YBR is the best! Loved this month’s round-up. Nice write-up and a winning recipe! the clonesicles look perfect! These are absolutely the cutest popsicles I have ever seen.